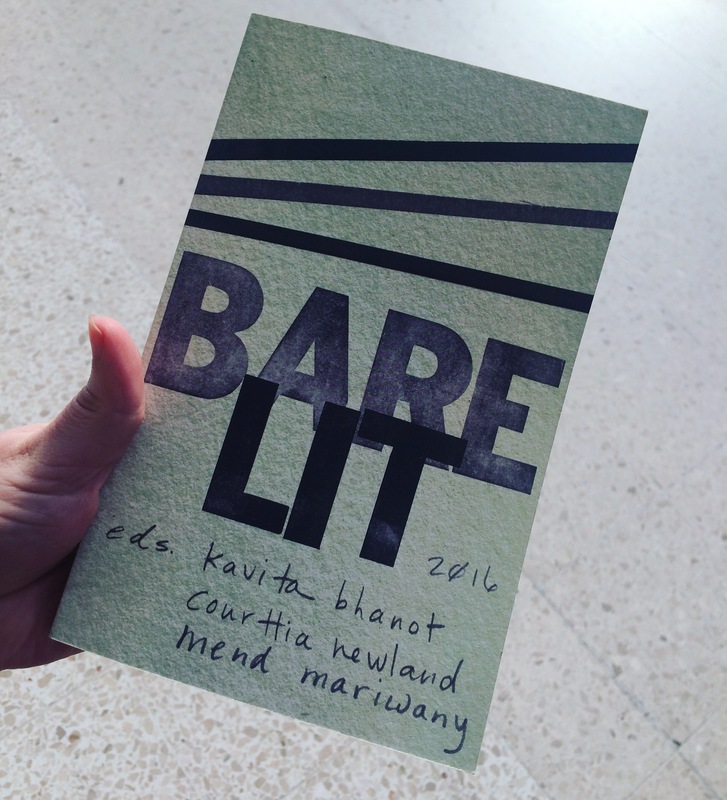 Today I spent the day at Bare Lit festival 2017 with my friend Bex, of Ninja Book Box/London Bookshop Crawl fame, and it was the most incredible day! We decided a while ago that we would only be able to go to one day and I’m so glad we chose the Sunday! Our first panel was From Real to Unreal and Back, a talk about the use of fantastic storytelling elements to reflect the real world. I was super excited to hear Ali Bader read one of his short stories from the Iraq + 100 anthology, which was incidentally my favourite in the whole collection! Also on the panel were Irfan Master, who read two excerpts from his new novel, and Inua Ellams who chaired and read a new poem. It was an interesting mix of opinions! 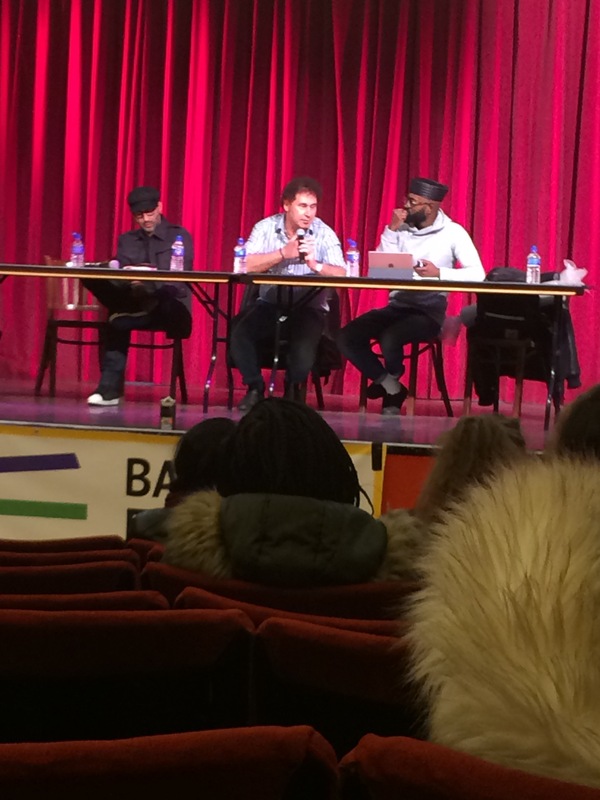 With such a diverse set of backgrounds it was great to hear debate rather than bland agreement and I found the incite of Ali Bader, whose prominence as an Iraqi writer gave him a different perspective to authors living in Britain. The next panel, When Bad Things Happen, was my favourite and I was hooked every second. 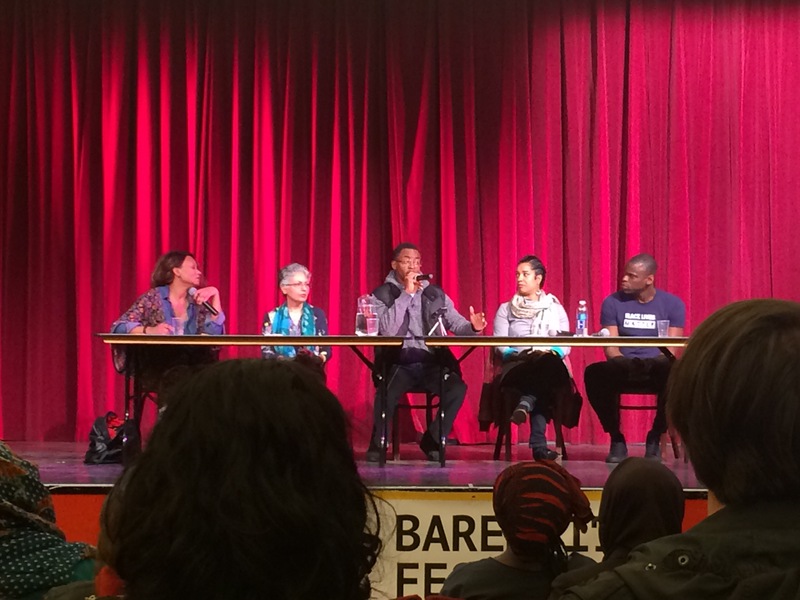 The five panelists discussed the responsibility involved in writing about trauma, as well as ways to protect yourself as a writer looking to put personal experience on the page and the important of writing about traumatic events without sensationalism. Guilaine Kinouani, a therapist and writer for The Independent, was a passionate but measured chair and I found her thoughts to be fascinating. Nasrin Parvaz spoke about her time being tortured in an Iranian prison and how writing her prison memoirs brought emotions back to the surface. Robyn Travis talked passionately about the process of writing his book Prisoner to the Streets and the responsibility he felt to young black readers not to glorify his past violence. 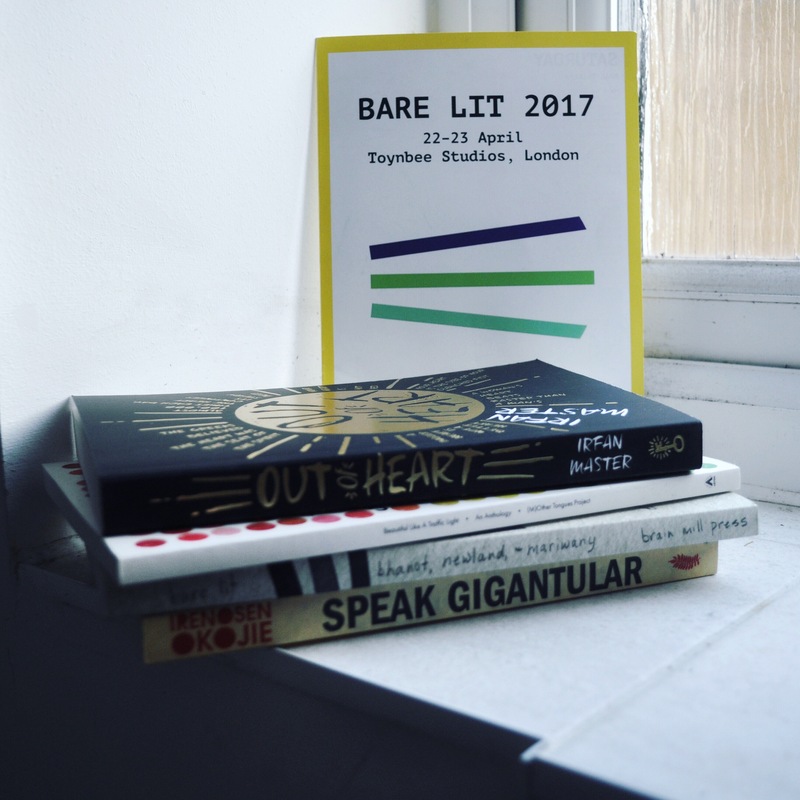 Olumide Popoola provided a powerful incite in to writing as a queer author of colour and finally Stephen Thompson talked about writing his book, No More Heroes, and the process of drawing on other people’s experiences. Honestly one of the most inspiring group of people I have ever had the privilege of listening to. 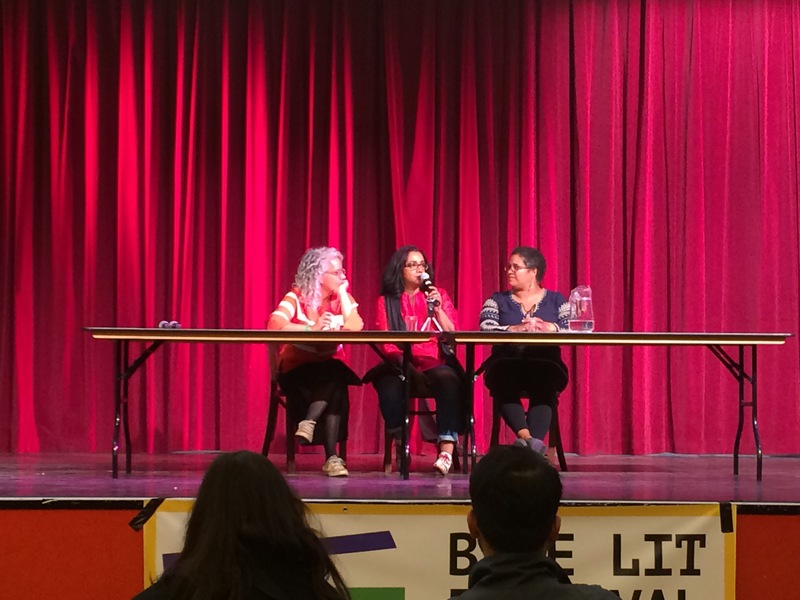 Next was How to Judge a Book Prize where Sunny Singh, Yvette Edwards and Catherine Johnson discussed the absence of writers of colour on larger prizes’ long lists and the systematic problems faced by authors of colour in the publishing industry. They also talked about judging the Jhalak Prize For Book Of The Year By A Writer Of Colour and some of the challenges (predominantly by one disgrace of an MP) that the prize has faced in its first year. Finally, Kerry Young gave the keynote speech on the social, political and personal responsibility writers have. 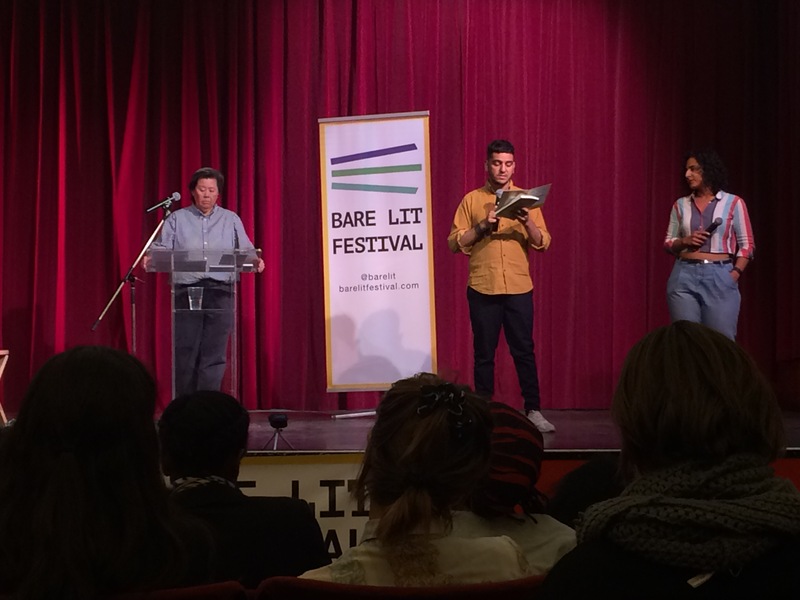 The speech was sponsored by The Royal Literary Fund and was the perfect close to the day. I came away with a modest book haul of four books (pictured at the top) and a very long ‘to buy’ list! 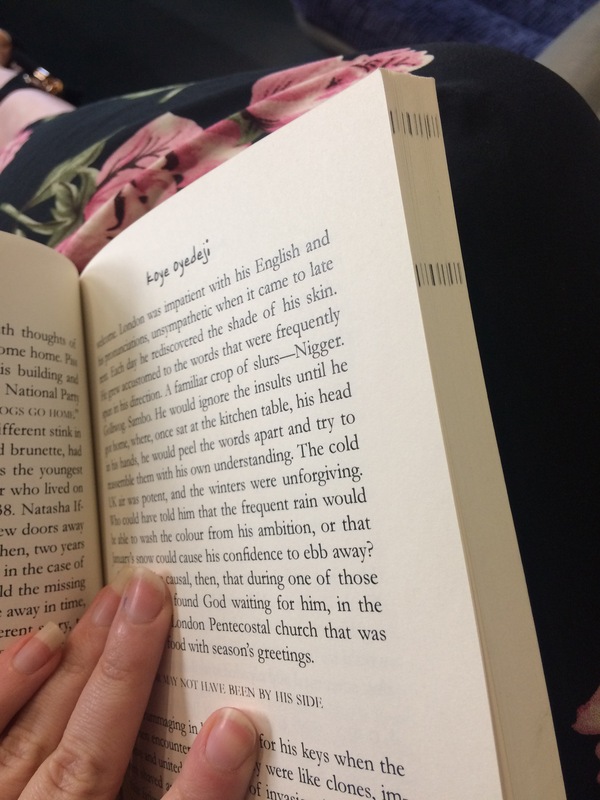 It was a surprisingly tiring day and I definitely needed the wind down time on the train home (in which I read a third of the two anthologies I got!). If anyone if debating going next year then I would say it’s a definite must! I read Han Kang’s debut The Vegetarian last year and one of the things I loved about it was the feel that it was actually a series of novellas stitched together to create a greater whole. 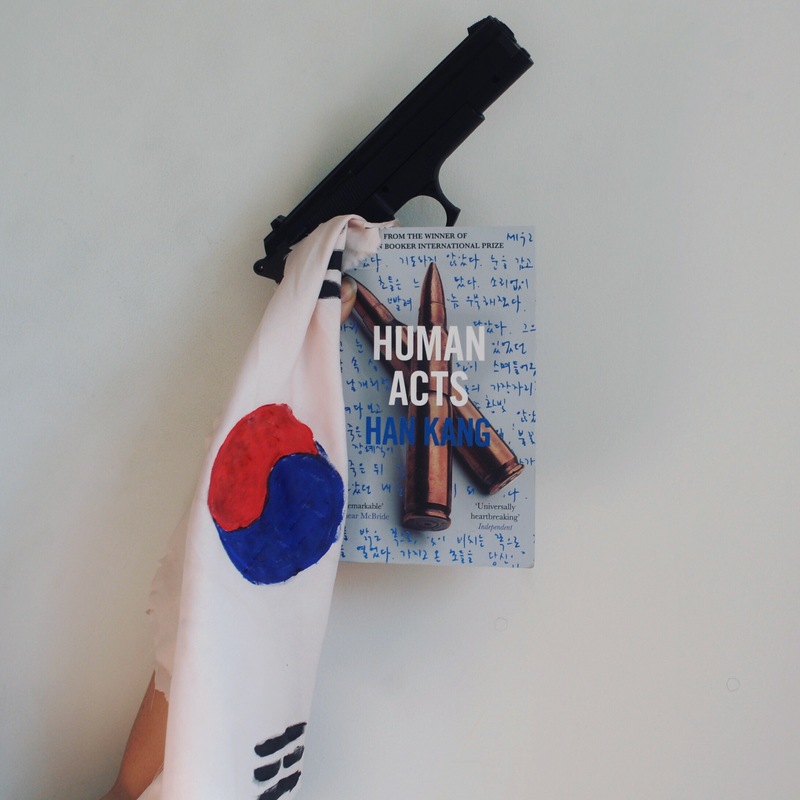 In Human Acts she achieves that to even greater effect; the story combines different narratives, points of view and perspectives on the 1980 Gwanju uprising. One of the things I found most striking about Human Acts is the voice Han Kang gives to the dead; either through narration or giving even the most fleeting character- shot down in the uprising- a backstory. The other; the fact that she doesn’t shy away from the gruesome details of what goes on behind the scenes of a popular uprising. 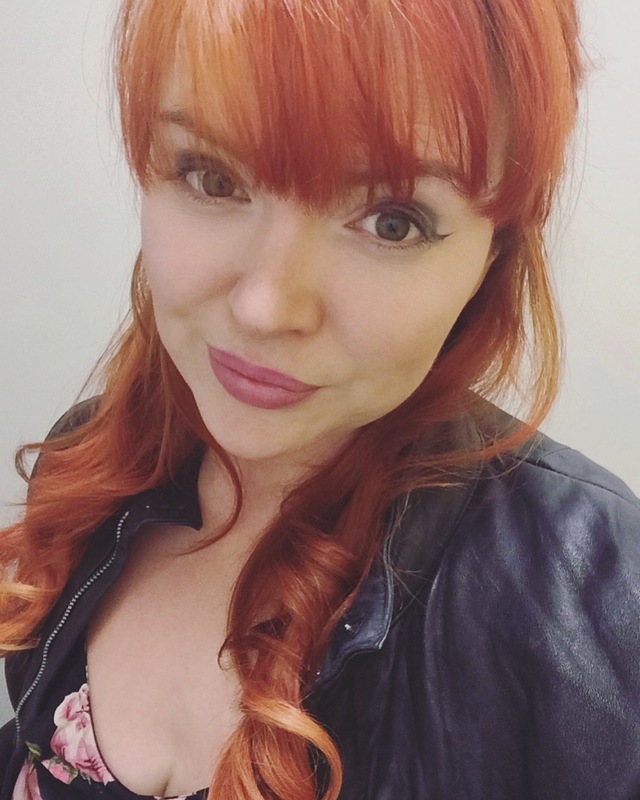 There’s no romanticisation (a warning for graphic descriptions of torture) and it feels like an important story to tell and an important voice to give. Again I liked the feel that the story was actually a collection of interlocking vignettes. It wasn’t a group of short stories as such, but an overlapping and interwoven peaks in to the lives of a group affected by political turmoil. It’s beautifully written and translated (again, Han Kang and Deborah Smith work fantastically together) and it reads like being immersed in the fear, pain and uncertainty of political oppression. I will warn, again, that are some very painful sequences in the book; if you don’t feel comfortable reading about torture and death then I would steer clear. However, for me, this is flawless storytelling.